M&M's Sharing Size Caramel Chocolate Candy, 9.6 Oz. Caramel lovers, rejoice! Introducing M&amp;M'S Caramel Chocolate Candy, the first-ever soft and chewy M&amp;M'S Candy. A soft caramel center is covered in rich milk chocolate and coated in a colorful crunchy candy shell for a fun, tasty treat. The sharing size pouch is perfect as an afternoon treat to split with a friend. Caramel lovers, rejoice! Introducing M&M'S Caramel Chocolate Candy, the first-ever soft and chewy M&M'S Candy. A soft caramel center is covered in rich milk chocolate and coated in a colorful crunchy candy shell for a fun, tasty treat. The sharing size pouch is perfect as an afternoon treat to split with a friend. 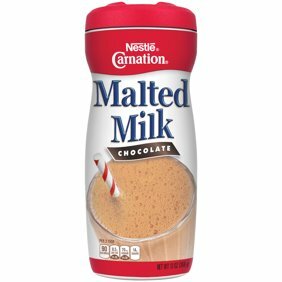 Ingredients: Milk Chocolate (Sugar, Chocolate, Cocoa Butter, Skim Milk, Lactose, Milkfat, Soy Lecithin, Artificial and Natural Flavors, Salt), Sugar, Corn Syrup, Hydrogenated Palm Kernel Oil, Milkfat, Skim Milk, Cornstarch, Less Than 1% - Lactose, Dextrin, Salt, Mono and Diglycerides, Coloring (Includes Blue 1 Lake, Yellow 6, Red 40, Yellow 5, Blue 1), Chocolate, Artificial Flavor, Gum Acacia. Caram-ade my every dream come true! I have been WAITING for M&M's to come up with something similar to my favorite candy growing up- Rolos. And let me tell you - they have!!! What else is there to say? It's M&M's... with nice tangy caramel on the inside. What's not to love!? Why can't I find these in the store? Really love these Caramel M&M's, Brought quite a few on Walmart.com with the free two day shipping but the price has now gone up considerably. From a single bag at $3 a bag to now $3.83 and they had a buy 2 bag special of 2 for $5 but now the "Rollback" is 2 bags for $6.70 . In the stores they are $3 a bag. Gave it to my 14 year old granddaughter as a part of her birthday present she said they were delicious!!!! If you like caramel and chocolate these are AMAZING!! !